Most tactical flashlights are designed not only for excellent illumination across a variety of conditions, but are also embedded with certain elements that make them exceptional tools during emergency situations. The major issue with conventional tactical flashlight design is that they tend to be bulky and quite heavy. This sometimes defeats the purpose of having a tool that you can use in an instant, anytime, anywhere. 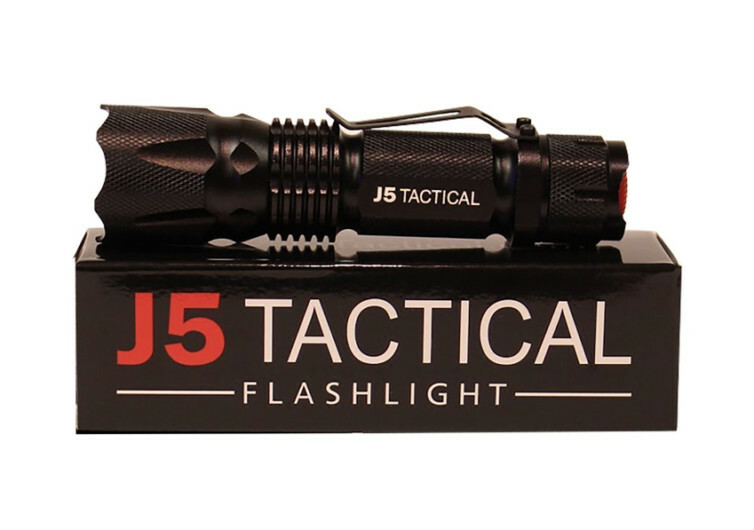 Thankfully, some guys at J5 are listening to give you a really compact, lightweight, and pocket-sized version of a true-blue tactical flashlight, the J5 Tactical V1 Pro. One may not believe the luminous power of this 3.7-inch long, 1-inch tubular tactical flashlight. However, the J5 Tactical V1 Pro is more than capable of hustling it out with the big guys. From the standpoint of a tactical LED torch itself, the V1 Pro looks especially stunning. It has that muscular and robust built that you can expect from a tactical tool. 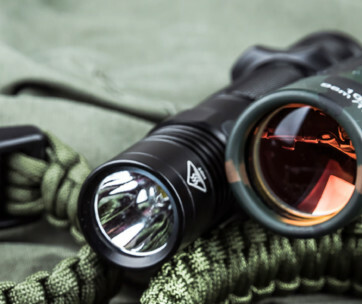 The be-muscled appearance aside, the V1 Pro exudes with several functions that can sometimes be missing in standard-sized tactical flashlights. The V1 Pro comes with a 300-lumen LED bulb fully capable of illuminating an entire base camp or be precisely focused on a single spot, thanks to it fully adjustable zoom lens mechanism. This easily transforms the V1 Pro from a surgeon’s precision focus light to a field army platoon’s flood light. What is more amazing is that its light output only requires a single AA alkaline battery. When put into the brightest settings, you could perhaps squeeze out a full hour’s use. Of course, if you can obtain the 14500 lithium ion rechargeable battery, then so much the better. At the very least you don’t have to bug yourself about having to purchase alkalines every now and then. The V1 Pro is fully capable of projecting a light beam up to 600 feet. 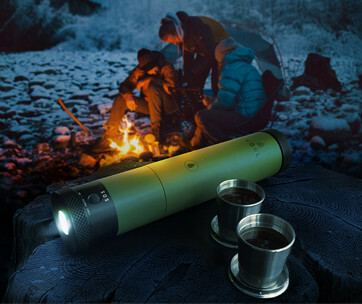 It comes with 3 light modes with its strobe functionality being used principally by a host of outdoor adventurers especially bikers, trekkers, and campers. The low beam should be excellent for setting the mood for the evening while the high beam is great for high-intensity light requirements. Perhaps the most remarkable thing about the J5 Tactical V1 Pro is the fact that it is so compact that it easily slides into the back pocket of your jeans or even clipped through your belt. 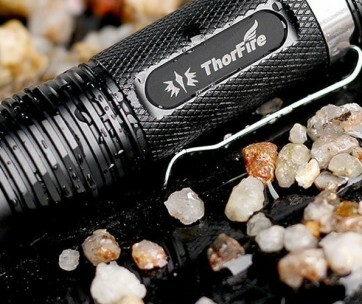 Not many tactical flashlights are this compact, lightweight, and formidable for its size. 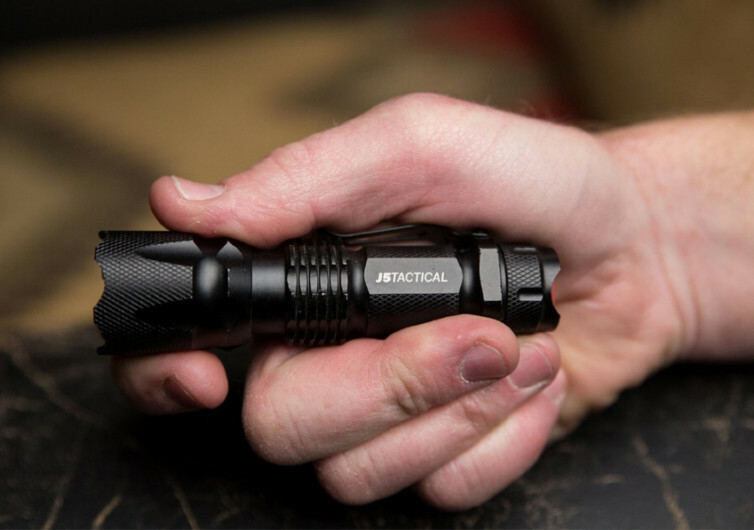 The J5 Tactical V1 Pro flashlight may be small, but its miniscule size belies its powerful illumination capabilities. 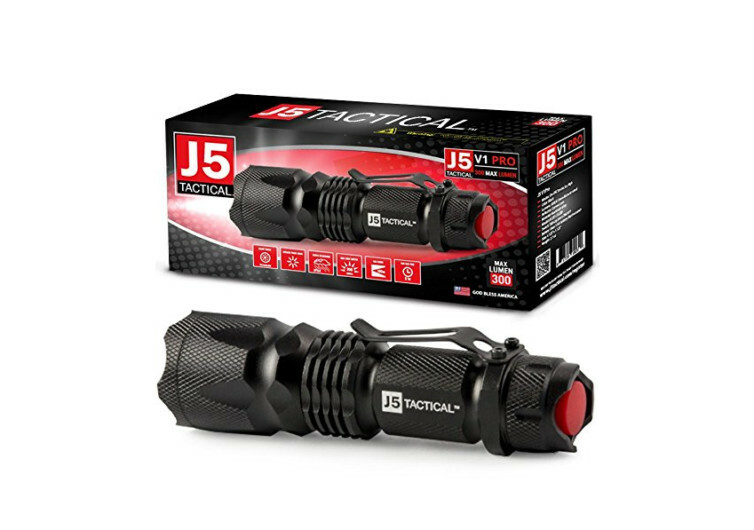 Its robust design in a super-compact package gives the J5 an edge over other tactical flashlights.